Can you briefly present the Port of Thessaloniki? What are its main characteristics and challenges? The Port of Thessaloniki is the main Port Hub for the Balkans and South East Europe. This is due to its location; its facilities and spectrum of services provided; the strong customer base in Northern Greece and the neighbouring countries; along with plans to extend its facilities to accommodate Ultra Large Container Vessels and big dry bulk and general cargo vessels. 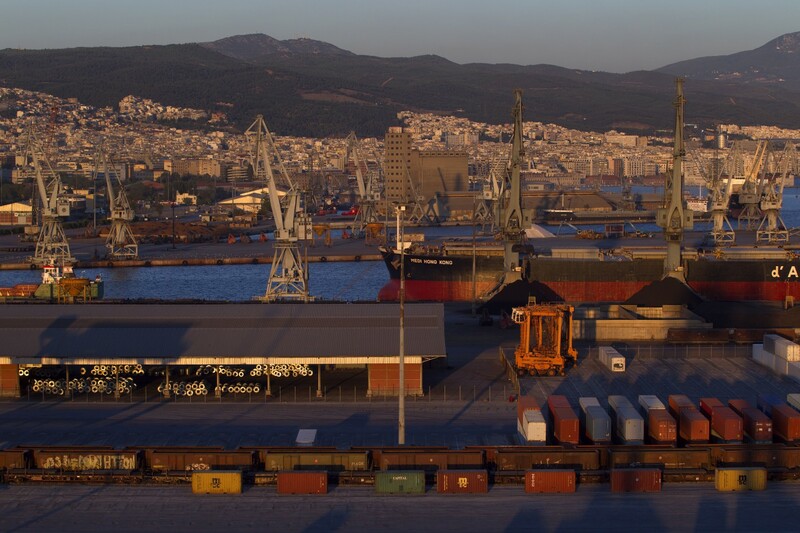 The Port is also the main export port for Greece, attracting also export traffic from the neighbouring countries. The Porthad an annual container throughput of 425,000 TEUs and an annual throughput of 3.85 million tonnes of conventional cargo (bulk and breakbulk) in 2018. The annual container throughput for 2019 is expected to increase to around 450.000 TEUs and conventional cargo throughput should reach 4.5 million tonnes. 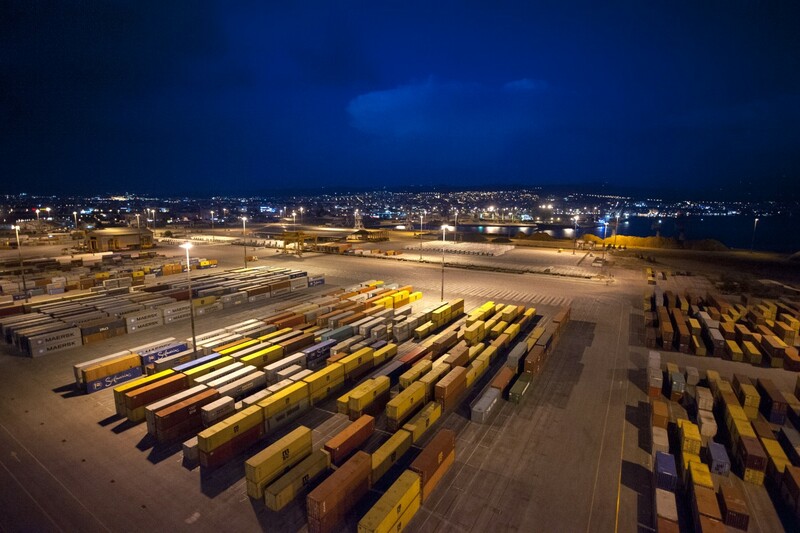 The Port of Thessaloniki, through its operator ThPA SA, provides a full spectrum of activities in the fields of container traffic, conventional cargo (dry bulk and breakbulk), Ro-Ro and RoPax traffic, and cruise traffic, while covered and open space leases are provided to port customers. In 2018, the Port of Thessaloniki was privatised. As a consequence, you were appointed as new Chairman of the BoD and CEO. Can you briefly explain why the port was privatised? What are the advantages of the privatisation for the port? Has this posed any challenges? Both the Port of Thessaloniki and the Port of Piraeus represent a rather unique model of port restructuring in Europe, with its pros and cons. The former Comprehensive Port Authorities were corporatised back in 1999 and weresubsequently listed, in 2001 and 2003 respectively, on the Athens Stock Exchange with a free float of approximately 25%. I had the honour of leading both Stock Listings of the Ports of Thessaloniki and Piraeus. Following a decision back in 2014 and a Tender, a majority stake of the Company (ThPA SA) of 67% was sold to South East Gateway Thessaloniki (SEGT), a Special Purpose Vehicle (SPV) company that took over the management of the Port. SEGT has three shareholders: Deutsche Equity Invest Partners (DIEP), a German financial investor; Terminal Link, a Global Terminal Operator with participation of CMA CGM (51%) and China Merchants Ports (49%); and Belterra Investments, a strategic investor. The model of restructuring resembles, to a certain extent, to that of the restructuring in the past of the Port of Singapore Authority (PSA) to PSA Corporation. Therefore, ThPA SA is not a Port Authority, but purely a comprehensive Port Operator running the whole of the Port of Thessaloniki, despite retaining its old name. 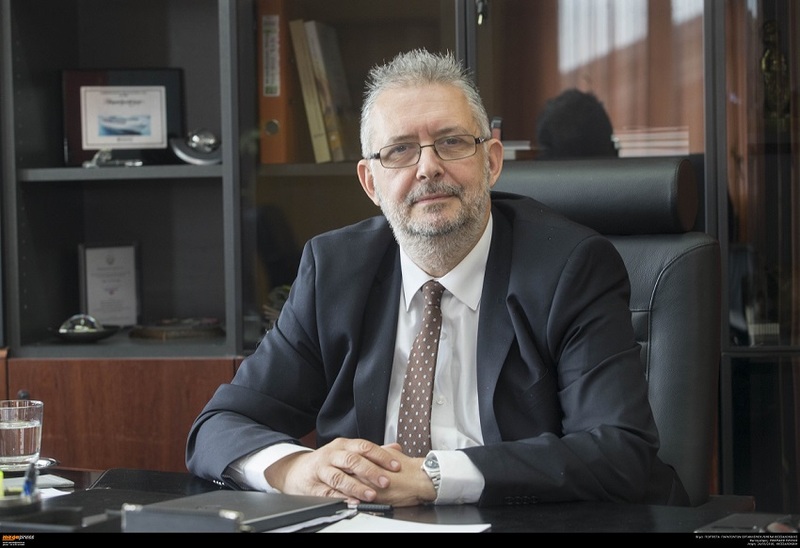 The new Management Team, effectively international, brings a fundamentally different management and development spirit and approach, incorporating the international experience of Terminal Link and the excellent knowledge of business conditions in the Balkans and South East Europe. The new business strategy incorporates three components: those of Port Bound Strategy, aiming to develop new infrastructure accommodating bigger vessels and bringing new operational philosophy and patterns; Beyond the Port Strategy, aiming to develop the intermodal transport component pertinent to transit cargo to/from South East Europe with dry ports in strategic locations, so that the “extended gates” concept for the Port of Thessaloniki can be implemented; and the Management Strategy to achieve a lean and effective management. The Greek model with a Ports Regulatory Authority is quite unique in Europe. Could you describe the different functions of and the cooperation between the Port Authority, the Ports Regulatory Body and the Shipping Ministry? In my personal opinion as an expert, the Greek Port Model is still evolving. There is no question that having three different public entities responsible for regulatory and public interest functions may create conflicts and lead to overlapping. The Ports Regulatory Authority is indeed unique in Europe and this kind of entities are rather scarce worldwide. Though the scale of the Port Industry in Greece has not a magnitude to substantiate a separate Regulatory Authority, the multitude of small port facilities, especially in the Island Complex, may substantiate its existence. The Port of Thessaloniki is the second largest container port in Greece. How do you see the container business evolving in the port? What are the main challenges? As mentioned earlier, The Port of Thessaloniki is effectively a main hub for South East Europe and the Balkans, despite the fact that the container terminal has a medium size annual throughput. The main components of the development prospects of the container terminal are those relating with its expansion to accommodate container vessels employed in mainliner services, since currently the port attracts feeder and regional services due to draft limitations, and the development and/or cooperation with a number of dry ports in the port’s natural hinterland. The expansion of the container terminal will provide the deepest container facilities in the North East Mediterranean. Whether these conditions will be met and if it will lead to attracting mainliner services remains to be seen and depends on a number of factors that may be beyond the influence of the port management. What are the main investment projects in the Port of Thessaloniki for the coming years? The Consortium that took over the 67% of the shares of ThPA SA has the obligation to invest €180 million in the next seven years. The main element of these Obligatory Investments is the extension of the Container Terminal by 460.0 m with a depth of -17.6 m. This investment will provide the possibility of accommodating container vessels with a capacity of 18,000 TEUs (Super Post New Panamax). This infrastructure will provide the capacity to the Port of Thessaloniki to accommodate Container Mainliner Services and in any case, irrespective of the developments in container shipping, will provide a strong competitive advantage for the port. Following the expansion of the Container Terminal, its capacity will reach 1.3 million TEUs. This expansion project is anticipated to be completed by end 2022. 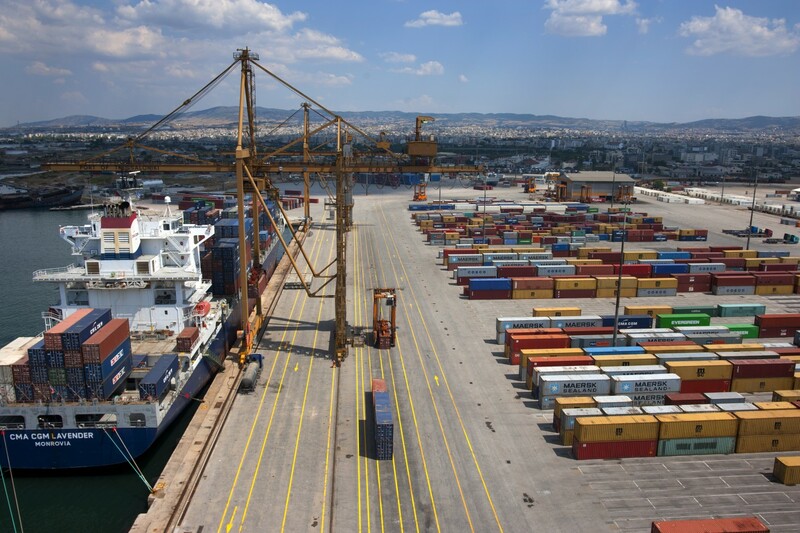 Concurrently, the Greek State plans to complete new rail and road connections of the port to the national road and rail infrastructure networks, ensuring effective mobility around the port and efficient access to these networks. Besides these Obligatory Investments, ThPA SA plans two major investments for the Conventional Cargo Terminals, i.e. The unification of Piers 4 and 5, creating a new front quay of approximately 600.0 m, with depth of -15.0 m, to accommodate handymax dry bulk vessels and general cargo vessels of similar size. These two expansion projects will provide additional annual cargo throughput capacity of around 4.0 million tonnes and a development cost of around €120 million, including equipment. The Port of Thessaloniki is located on the Orient-East Med Core Network Corridor of the Trans-European Transport Network (TEN-T)? How has the port benefited of being part of this Corridor? The Orient-East Med Core Network Corridor can provide a Mini Land Bridge access to the Bulgarian Port of Burgas in the Black Sea, along with access to Central Europe. This coincides with our strategy of developing satellite dry ports in neighbouring countries to help to apply in practice the concept of “extended gates” in our prospective hinterland. The Corridor is instrumental in expanding our hinterland. In 2013, China revealed the “Belt and Road Initiative” initiative, an impressive infrastructure development project aiming to better link China with other parts of the world. What is the Port of Thessaloniki’s view on this initiative? The BRI initiative is a global initiative that will have a long lasting effect on our Industry. We closely follow the developments of this initiative and we feel that we have a strategic placement regarding its implementation in South East Europe. We feel that we need to concentrate on the business prospects arising from this initiative, along with other business opportunities. The strong investments we will accomplish in the near future provide us a sound advantage relating to the BRI Initiative, among other business opportunities. The cruise and ferry business plays an important role in the Port of Thessaloniki. How is the passenger business evolving in your port? What are the main challenges? Cruise traffic was strong in the past, but due to the fact that the Port of Thessaloniki was an intermediate port of call in the cruise services involved, when the homeport of these service strings experienced difficulties calls to the Port of Thessaloniki decreased substantially. Currently, our strategy is to convince cruise lines to use the Port of Thessaloniki as a homeport base for a certain niche of the cruise business in the area. The wider area of Northern Greece covers a wide range of archaeological assets, historical places and natural beauties and attractions that deserve attention and we need to communicate this to the cruise lines. We are working together with the Regional and Local Authorities and the clusters of businesses pertinent, directly or indirectly, to cruise services to produce a “cruise product” we can offer to cruise lines. Moreover, the regeneration of the non-core port activities area of the port and, particularly, the symbolic old customs building will contribute a lot towards this direction. This is a difficult process that takes time but we are optimistic about the medium term outcome. The Port of Thessaloniki is embedded within the city of Thessaloniki. The relationship with the local community is thus of paramount importance. How is the port engaging with the local community? We can say that, based on my international experience, the port-city relationship in our case is a model case. The regeneration of the Old Pier I and the hosting of the cultural entities (Cinema Festival, Museum of Modern Arts, Museum of Photography etc.) on this Pier gave the opportunity to the City to learn what the port is and convinced the citizens that the port is a part of their history, their culture and their life. The Port of Thessaloniki has been one of the first EcoPorts members. What are your plans to further improve the environmental performance of the port? How is the port planning to facilitate shipping ahead of the “IMO2020”, the introduction of the 0.5% sulphur limit on marine fuels? Last month the Port of Thessaloniki became a Member of the Green Award initiative, as an “Incentive Provider”. We provide a reduction of berthing charges to clean vessels calling at our port. Our port is the first port in our region to join this important Shipping Industry Initiative. This is an indication of our commitment to promote environmental consciousness in the broader spectrum of our activities. We have a long term strategic vision in keeping our port in the forefront of environmentally good practices. Are you taking initiatives in the field of digitalisation? We are very much committed to follow the global trends of digitalisation in the ports and logistics industries. 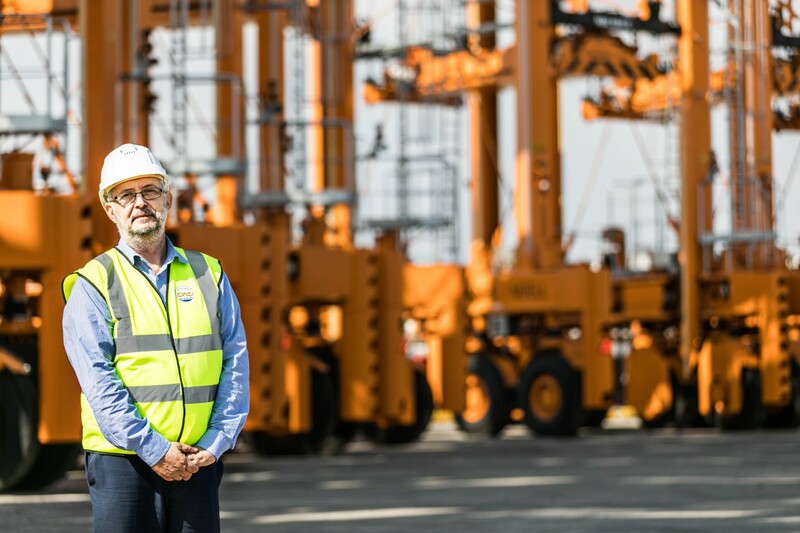 A plan for deploying new technologies in the Container Terminal will be prepared and ThPA SA participates in various EU Sponsored research projects. We plan to develop a small, yet important, focused Innovation Hub for Ports; Freight Transport; and Logistics in the Port, drawing from the experience of other similar initiatives worldwide and incorporating the participation of the EXANTAS National Port Training Institute, a vocational training institute covering the areas of ports, freight transport and logistics.